As readers will know, we got the exciting news that Reps. Jerry Nadler and Marsha Blackburn have introduced the Fair Play, Fair Pay act, which is the legislation creating the right for artist to be paid for radio play. That is, of course, the key issue that the #irespectmusic movement has been focused on for over a year. 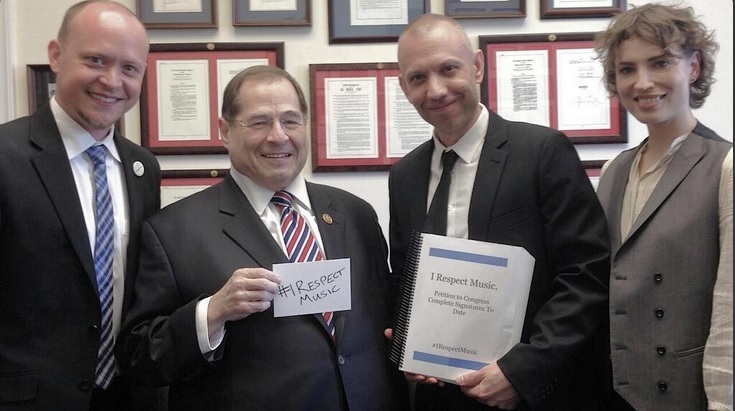 If you weren’t able to be there, you can watch Congressman Nadler’s speech at the first #irespectmusic event held last October at The Bitter End in New York–and yes, Congressman Nadler made good on his promise! 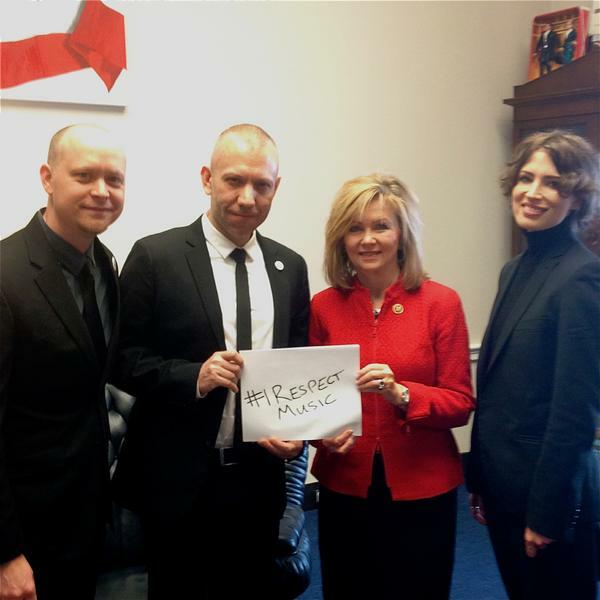 Representatives Nadler and Blackburn are true believers in the cause, and we owe them both a debt of gratitude for being willing to stand with artists. Now we need to help them get that bill passed. We are up against tremendous odds–companies with over $2 trillion in market cap are opposing us. Or what we call in Texas a fair fight. That’s not just the National Association of Broadcasters and Pandora. We know where they stand. But it’s also Google and YouTube, Amazon, the Digital Media Association, the Consumer Electronics Association, the Computer and Communications Industry Association and even National Public Radio. This is called the Orwellian “Mic Coalition” that says “In order for the music marketplace to grow and thrive, we need balance in copyright and competition policies that will benefit all participants rather than the few – the major record labels and publishers.” This is the new rhetoric from tech companies–witness Daniel Ek’s recent statements to the New York Post about “greedy intermediaries” (you know, the ones who invest in producing the music that Spotify trades on). Or said another way, they want to screw everyone equally. They’re going to need every crony, every campaign contribution, every academic on the take to defeat an idea whose time has come. Requires the Copyright Royalty Judges (CRJs) to commence a proceeding to determine royalty rates and terms for nonsubscription broadcast transmissions. Directs the CRJs, in determining royalty rates for statutory licensing of such digital or non-digital transmissions, to: (1) distinguish among different types of services, and (2) include a minimum fee for each type of service. Allows differences to be based on the quantity and nature of the use of sound recordings and the degree to which use of the service may substitute for or promote consumer purchases of phonorecords. Requires the CRJs to establish rates that most clearly represent the rates and terms that would have been negotiated in the marketplace between a willing buyer and a willing seller. Directs the CRJs to base their decision on economic, competitive, and programming information presented by the parties, including: (1) the sound recording copyright owner’s other streams of revenue from the recordings; and (2) the relative creative contribution, technological contribution, capital investment, cost, and risk of the copyright owner and the transmitting entity. Caps the annual royalty rate at: (1) $500 for small commercial broadcast stations with less than $1 million in revenues for the calendar year, and (2) $100 for public broadcasting stations. Exempts religious service broadcasts or incidental uses of music from royalty payment requirements. Requires proceeds for direct licenses of transmissions otherwise licensable under the statutory license to be distributed in the same manner as statutory license proceeds. Requires payment of 45% to featured artists, 2.5% to nonfeatured musicians, and 2.5% to nonfeatured vocalists. Makes such distribution the sole payments to which featured and nonfeatured artists are entitled under a direct license. Requires payment of performance royalties for sound recordings fixed before February 15, 1972, in the same manner as royalties are paid for sound recordings fixed after such date. Requires a collective designated by the CRJs to implement a policy to accept instructions (referred to as a “letter of direction”) from a sound recording copyright owner, or from a recording artist, to distribute a portion of performance royalty payments to a producer, mixer, or sound engineer who was part of the creative process behind the sound recording.